Is your family ready for spring camping? Are you looking for a Travel Trailer to accommodate all your little campers comfortably? Bunkhouse Travel Trailers are an excellent way to make the most use of your usable RV space by providing a comfortable sleeping spot for everyone. Bunk beds make efficient use of vertical space while also providing a fun spot to tuck up at night for the kiddos. 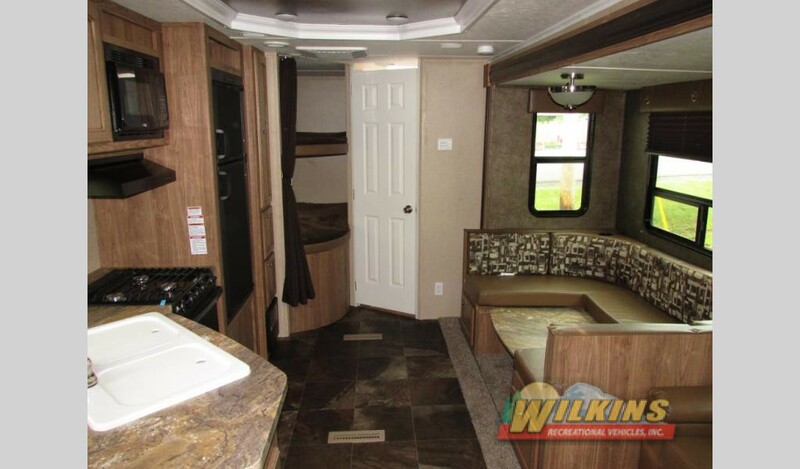 Here at Wilkins RV, we have many brands to choose from in a variety of unique bunkhouse floorplans. 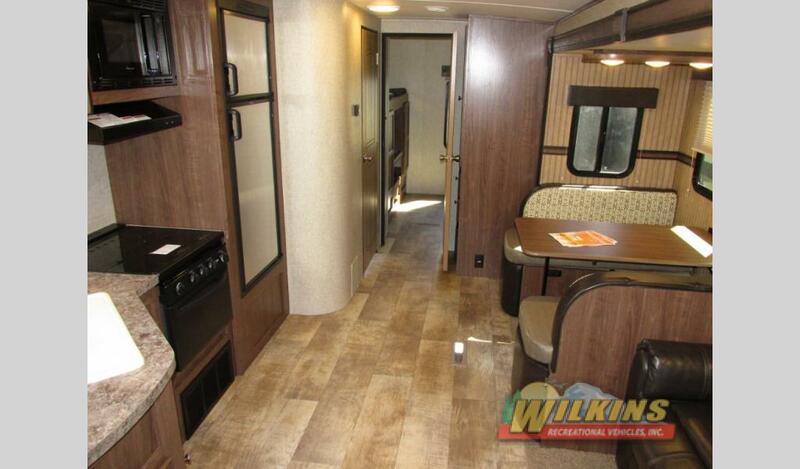 Check out this cozy Shasta Revere 28QB Travel Trailer. 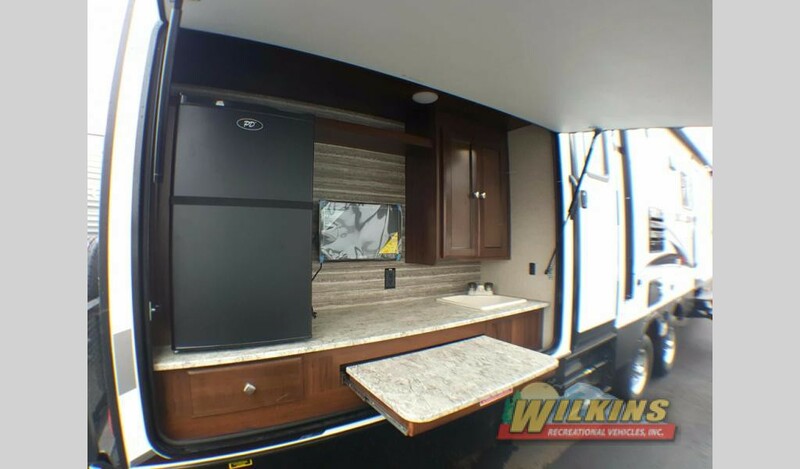 This family friendly camper with an outdoor kitchen sleeps up to 9 and is a great introduction to RV camping. Or, for lightweight luxury, check out the Palomino Solaire Ultra Lite Travel Trailer. The Solaire 317BHSK Bunkhouse Travel Trailer is an amazing buy with an outdoor kitchen, a separate bunkhouse room for the kids and a sophisticated interior decor. 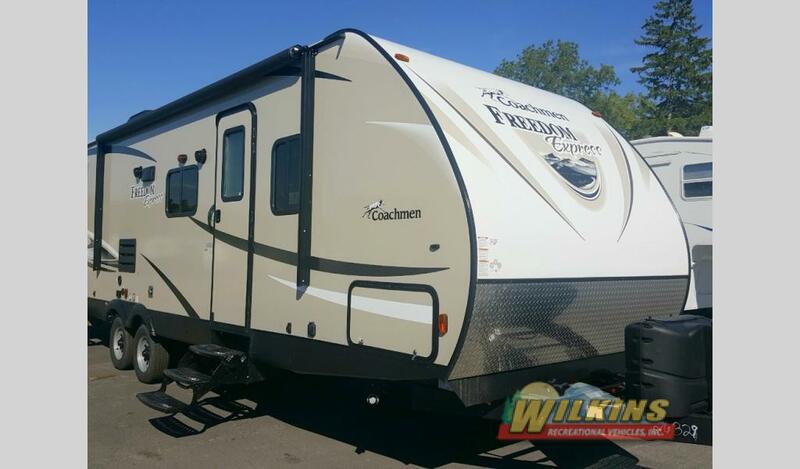 For exceptional construction quality including fiberglass sidewalls and front cap, the Heartland North Trail 33BKSS Travel Trailer is an excellent choice. 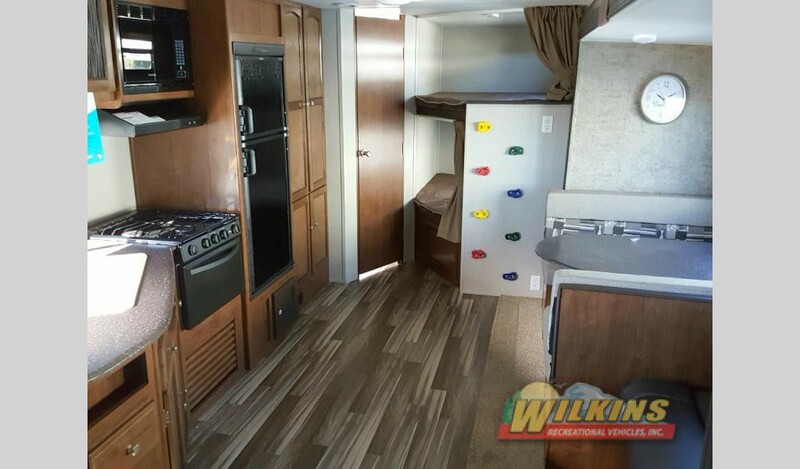 With a full outside kitchen, sleeping space for up to 9 and a large kitchen island, this bunkhouse travel trailer has it all. Whether you are searching for a lightweight trailer, an outdoor kitchen, a separate bunkhouse room or a kitchen island layout, we’ve got the bunkhouse travel trailer to makes your family’s RV dreams come true. 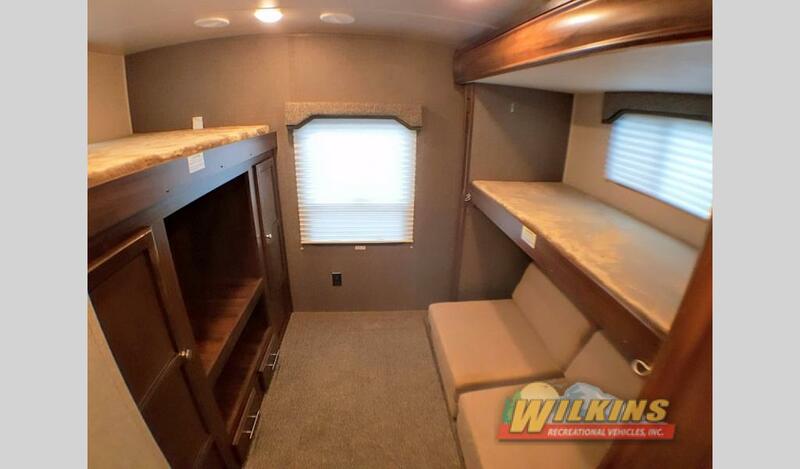 For a tour of all the travel trailer brands and models we have available at Wilkins RV, Contact Us. Our RV specialists will help you find just the right RV to suit your specific travel needs.